Pregnant women are more susceptible to life-threatening complications if they get the flu, a fact that makes the results of a new survey showing that only half of pregnant women get vaccinated so troubling. (NEW YORK) — Pregnant women are more susceptible to life-threatening complications if they get the flu, a fact that makes the results of a new survey showing that only half of pregnant women get vaccinated so troubling. It’s recommended that all women who are, or might become, pregnant during flu season be vaccinated against the flu. The vaccine is safe for mothers and their unborn children. But in addition to the flu vaccine, pregnant women should also get vaccinated against pertussis, also known as whooping cough. The vaccine for pertussis is combined with vaccines for tetanus and diphtheria in a combination vaccine called Tdap, and it’s recommended that expecting mothers receive it once between the 27th and 36th week of pregnancy (during every pregnancy) even if they’ve gotten it in the past. 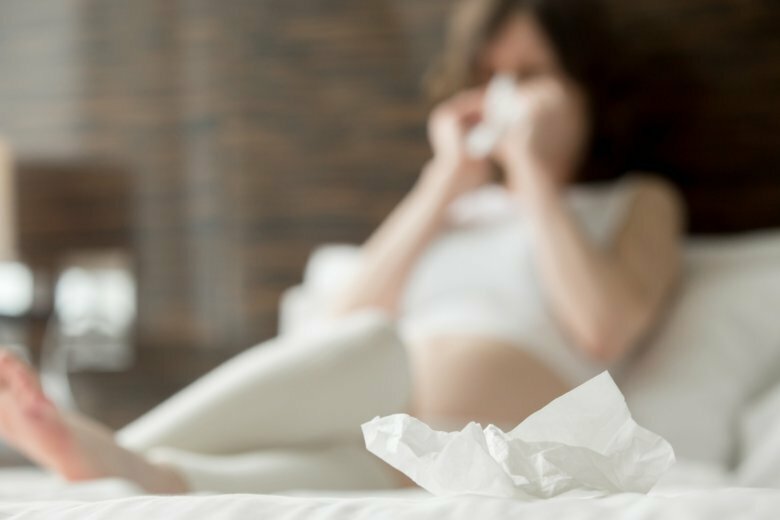 The survey, from the Centers for Disease Control and Prevention, set out to find how prevalent vaccinations for the flu were during the 2017-2018 flu season by asking approximately 1,700 women to fill out a survey. The women had been pregnant during peak flu season, between October and January, and about 700 of them were advanced enough in their pregnancy to be eligible for the Tdap vaccine. Some women who submitted the survey had to be excluded because they didn’t remember whether they had received the vaccines — a common problem in studies where participants are asked to remember something that happened, like this. But among those who did remember, their demographics were roughly the same as [who in the US?]. Surprisingly, only about half of the women (49 percent) received a flu vaccine before or during their pregnancy. A slightly higher number of women received the Tdap (54 percent). But when it came to those who received both, only 33 percent said that they had. There were many explanations for why they didn’t get vaccinated. Many women who skipped the Tdap said they didn’t know they needed to receive it during pregnancy in the first place. There were also a lot of women who expressed concerns about the safety of these vaccines and how they would affect their babies. Women who skipped out on the flu vaccine, meanwhile, said they didn’t believe it was effective — an assertion that isn’t true. The CDC culled some other interesting information from the survey. For example, it found that women who had health care providers that offered the vaccine were the most likely to receive them. Even women who were referred to somewhere outside of their doctor’s office received the vaccines at higher rates than those who didn’t get a referral. The survey’s results can be disheartening for doctors and public health officials, who know about how important these vaccines are for protecting pregnant women. These findings may also be surprising for doctors who take the time to talk about vaccines, and who might assume patients are following their advice. That said, studies have shown that there may be a miscommunication between doctors and their patients on how vaccines work and why they should be taken. While there are several factors that lead women to skip vaccines during pregnancy, including health literacy and underlying personal and cultural beliefs. However, it is reassuring to see that having vaccines available, and pointing patients to where they can find them, seems to improve vaccination rates.